i had wanted to try keng eng kee (KEK) the last time the few of us were doing a hawker & zi char tour but had never gotten to it. was watching a teochew classical tunes (operatic) concert at singapore concert hall at 7.30pm by ngee ann cultural centre, singapore teochew federation & nan hua opera (南华儒剧社) – program here, so decided to have early dinner at KEK on 9.6.2014.
the singing was good & the ones by 孙小华 (芦林会) & 陈纬恬 (刘明珠) was outstanding, extremely emotive, moving & captivating. 陈纬恬, singaporean, is just 11 years old. she performed 小蝴蝶 in (莫愁女) in shantou, china when she was 5! this young girl is set to be a super star. we were there at 5pm on a monday. the indoor aircon seating was fully booked, & 1/2 of the outdoor seating at the coffeeshop was also reserved with the names on the tables. 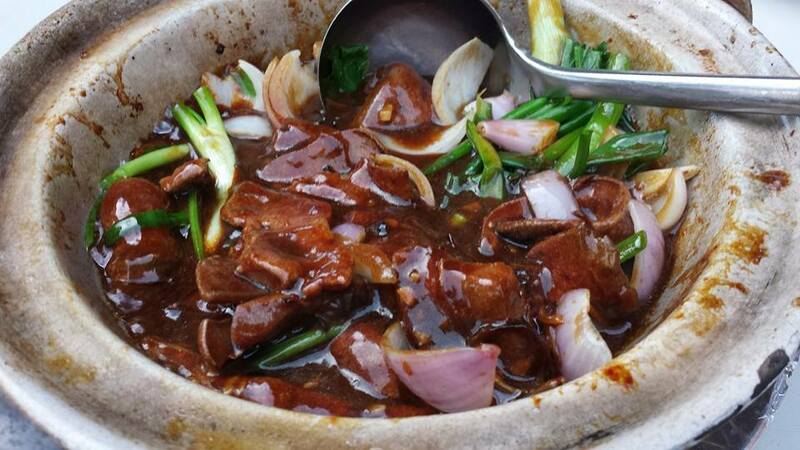 famous dishes at KEK includes claypot liver, moonlight nor fun, mingzhu rolls (明珠卷) & salted egg crab etc. #2 we were deciding between black beans bitter gourd with sliced snakehead (生鱼) or a song fish head(松鱼头). 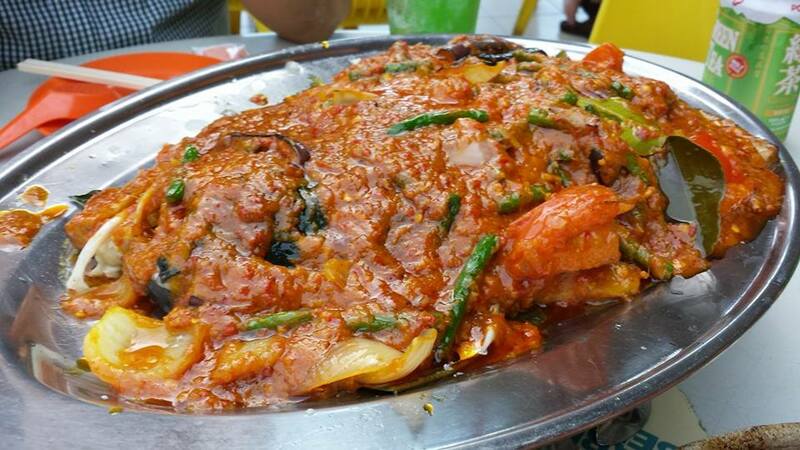 the server recommended the fish head nonya style. 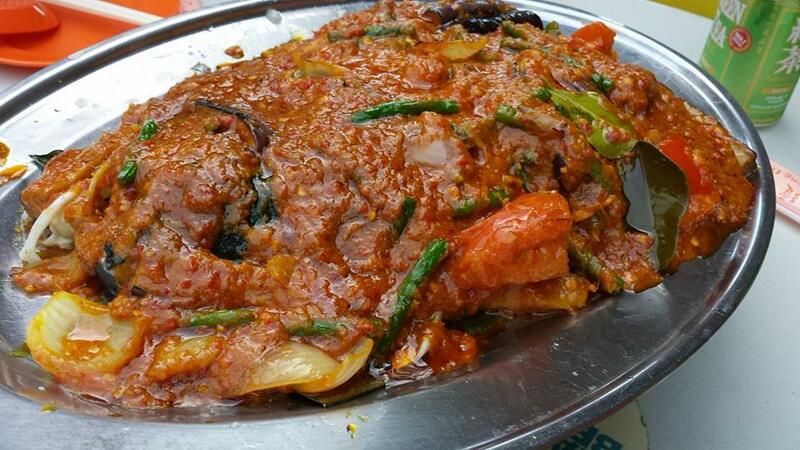 it was very good, the sauce was the same as the very nice fish head at forture seafood but dryer & less curry. i would think that angkoli (red snapper) which forture used would go better than 松鱼 for this dish. 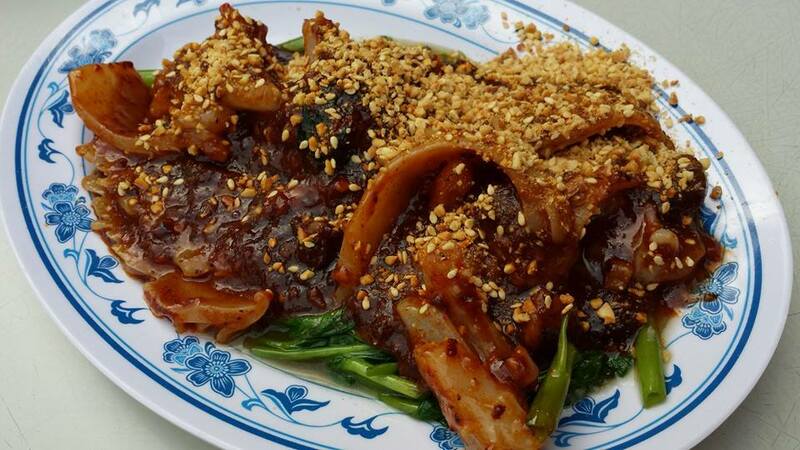 #3 cuttle fish kang kong was competent & tasty, the sweet sauce though was kind of overpowering. #4 the 明珠卷 mingzhu roll (6 pieces) was good too. however we did not really need this dish. the other 4 dishes were already too big for 3pax, so we tapao (take out) remaining 3 pieces. #5 the moonlight dry nor fun was a good dish. 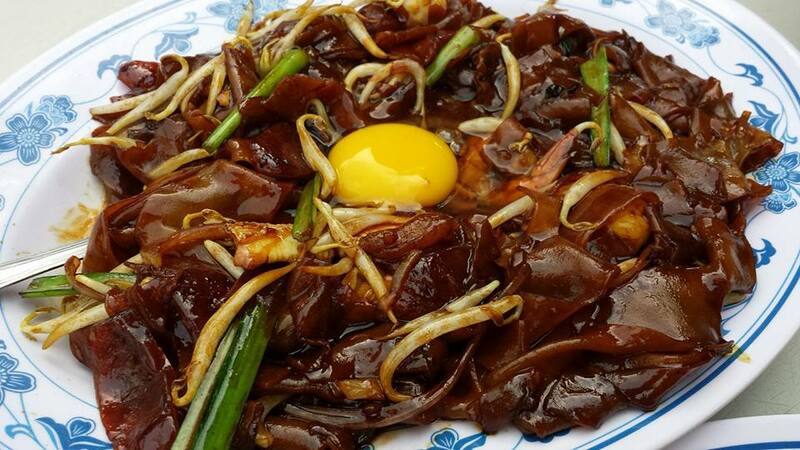 it was a strange concoction combining char kuay teow with hor fun(河粉), and came with chinese sausage & also prawns & squid with thick hor fun. it was not really my favourite. 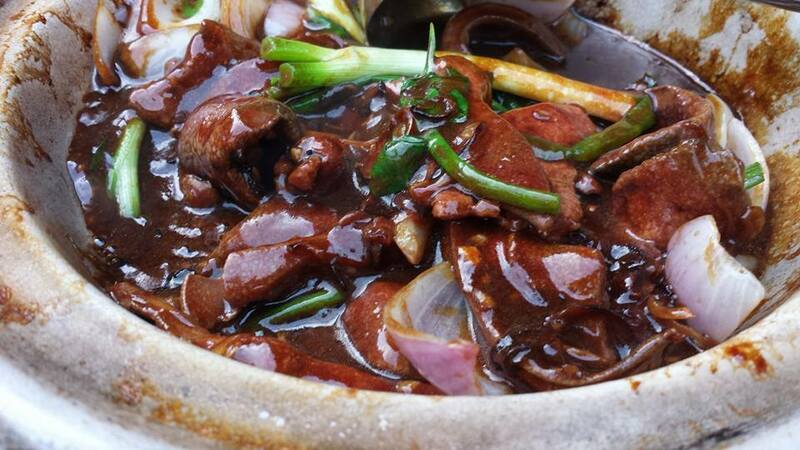 i would prefer the usual hor fun or san lor hor fun (生捞河粉) to this. there was no service or get. the bill came up to S$60 for 5 dishes for 3pax. the food would easily have served 4pax. i would rate KEK on par with kok sen & much better than two chefs. i would expect the song fish head(松鱼头) at 香港街珍记 (Hong Kong Street Chun Kee) to be better but then the menu range at the latter is small. 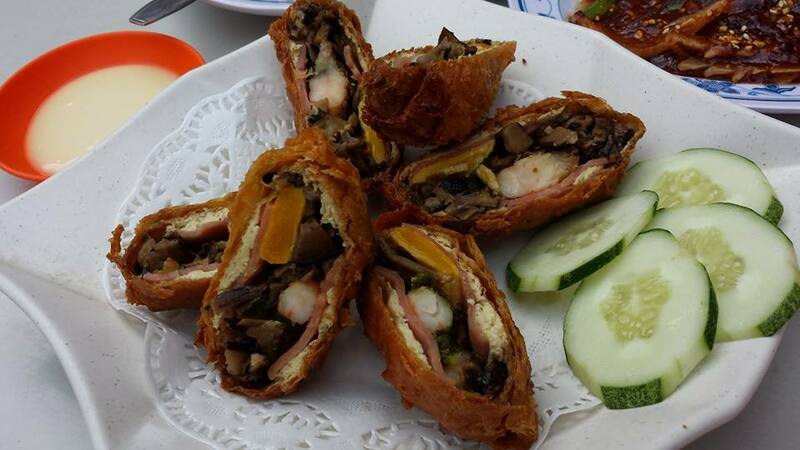 This entry was posted in Buon Appetito!, Perspectives - Living, Eating, Cooking and tagged alexandra village, claypot liver, cuttlefish, 芦林会, 陈纬恬, forture restaurant, hawker tour, kang kong, meng eng kee, mingzhu roll, moonlight hor fun, nan hua opera, nonya curry fish head, singapore conference hall, teochew opera, zi char, 刘明珠, 南华儒剧社, 孙小华, 明珠卷. Bookmark the permalink.